I searched through Google for some up-to-date training material on FIFA Futsal and… nothing. Nada. I was surprised to see that there wasn’t much general talk about it going on so I decided to make my own training material for a bit of a fun and general education. This is to be your one-stop shop for Futsal rules education. Here’s my favourite Futsal introduction video. I have hosted this document here in case someone takes it down as despite being dated, it has a lot of useful information. Any conflict it has with the latest version of the FLOTG would result in the latter having more precedence. Here is a Futsal Laws of the Game test with questions that I drew up. I have worded the questions to the best of my ability to mirror the Laws of the Game technical wording so please feel free to comment on this page if you have any suggestions. If you are new to Futsal or would like to brush up your knowledge, I’m sure this will be a great resource! Don’t think of these as strictly worded FIFA questions. Try to understand the sentiment behind the question. 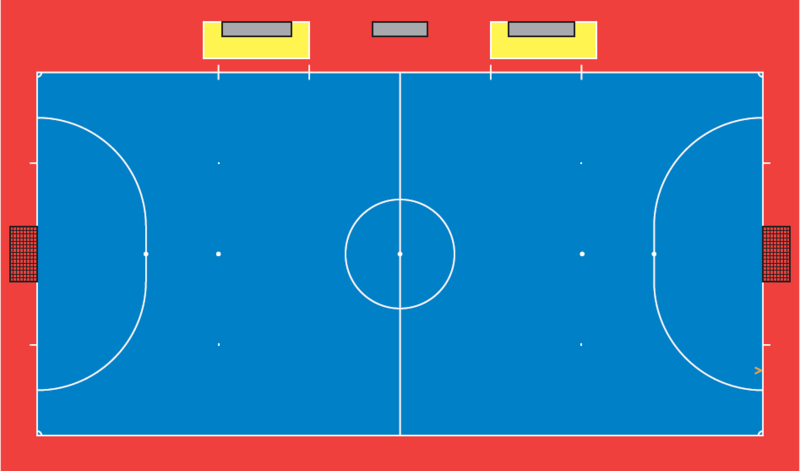 If there is an odd rule in Futsal I haven’t addressed here that you’d like to see a scenario of, comment and ask here! The videos and pictures of Futsal scenarios in this section could not have been done without great credit to Ahsen, Vinh, Ankit & Omar. Check out this awesome crew below and in the pages above. Thanks mate! It helps me a lot. I would like to see an explanation of what is considered a foul in futsal. From what I have observed I think refs have a hard time transitioning from outdoor/indoor to futsal. IMO futsal should be played as an almost non-contact sport. Could someone expound on this? Hard to define and your observation is indeed keen. There’s a lower physicality tolerance. If you watch international Futsal matches, they are played usually much more physical than at the Futsal grassroots but less so than international football. Hard to answer your question comprehensively and not misguide another reader. I would really like some information is regards to futsal fouls. It seems to me that the threshold for contact and fouls is different than any other iteration of soccer, yet I cannot find any detailed information on what constitutes a foul in futsal. I would like this information to educate my referees. That’s a bit of a tough topic to articulate Luke. Balance is much more of a key factor so challenges disrupting that are more heavily scrutinised by referees. I have run into a couple instances that there have been buzzer beaters. Can you advise me on the ruling on this? Is it like basketball? If the player has released the ball then buzz wait to see if its a goal? Or is the ball dead at time of buzzer? Thank you in advance sir! Pages 29-30 of the Laws cover this in great detail. In short, if the ball is traveling towards a goal when the buzzer goes, there’s a whole series of possibilities that can happen before the period of play ends. If the ball is not traveling towards a goal at that time, then the whistle should go to end that period of play.